Red-D-Arc carries an extensive inventory of welding equipment designed specifically for pipe welding professionals. 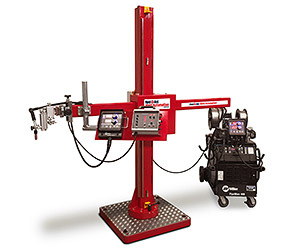 The latest pipe welding equipment can increase productivity and produce the highest quality welds. We have an extensive fleet of innovative solutions like the Miller PipeWorx Welding System, Red-D-Arc Oscillating Pipe Welder, Bug-O Systems, Orbital Welding Systems from Lincoln and Axxair, and pipe end prep equipment from H&M and E.H. Wachs. Check out the new Pipe Welding section of the reddarc.com website to learn more.